Once a planet of great mystery, now we know more than ever before about its amazing system of rings, moons, and storms thanks to modern robotic space pioneers. 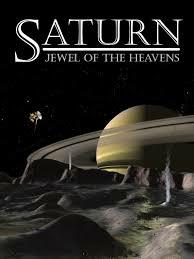 From its bizarre moons with mysterious features, to the millions of icy particles that compose the enigmatic rings, this is the three-dimensional tour of the Saturnian system that goes beyond the CG experience - It's like flying piggyback on the Cassini spacecraft! Experience an immersive exploration of one of the most amazing and dynamic planetary collections of our solar system.